George Pinchock is the Associate Director of Music at Villanova University in Pennsylvania where he works with the concert, marching, and pep bands. He also produces the summer graduate teacher education program for 700 music educators. He has helod this position since 1994. He has an interest in large events and festivals. From 1985-1989 he produced the Philadelphia, Pennsylvania 4th of July parade and the Independence Classic DCI Drum and Bugle Corps show and has been a consultant and planner for parades, ceremonies, and special events. 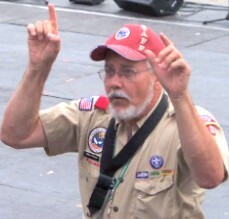 He was co-producer of shows at Cradle of Liberty Council's 2009 Liberty Jam attended by over 6,500 Scouts and Scouters. He is an adjudicator for Festivals of Music, Music in the Parks, and Music Showcase Festivals. He holds a Bachelors in Music Education and a Masters of Music from West Chester University, PA. He is President of the National Catholic Band Association (NCBA) and directed the 2010 Archdiocese of Philadelphia All Catholic High School District Band. George plays Saxophone and Clarinet. George has been active in the Boy Scouts of America since 1959 in Cub Scouts, Boy Scouts, and Explorers. He achieved the rank of Life Scout and has held various Scouting positions including Assistant Scoutmaster, Scoutmaster, Explorer Post Advisor, and Troop Committee member. He has attended Philmont, worked on Summer Camp Staff, and has earned Woodbadge. He is a merit badge counselor for Music and Bugling. His first Jamboree experience was at the age of 12, when the 1964 National Jamboree was held at Valley Forge State Park just a mile from his home in King of Prussia, PA. He and his Scout buddies walked from their homes to the Jamboree daily. The highlight of the Jamboree was the arena show where President Lyndon Johnson addressed the assemblage numbering over 53,000 Scouts and guests. Since then, he has attended 8 Jamborees as visitor or as staff. Most recently, he was on the band staff at the Centennial Jamboree in 2010 at Fort A.P. Hill. 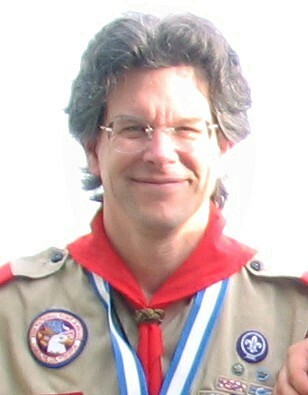 George is currently approaching his 12 year anniversary as founding Scoutmaster of Troop 50 in Schwenksville, PA. He is a brotherhood member of the Order of the Arrow, was a member of Alpha Phi Omega service fraternity at West Chester University, and is currently APO chapter advisor at Villanova University. He has considerable outdoor experience including camping, backpacking, canoeing, technical rock climbing and spelunking. Matt Elder, originally from Kennesaw, Georgia, attended college at Valdosta State University, where he earned a Bachelor’s in Music Education in 2006 and a Master’s in Music Education in 2010. During his college career at VSU, he performed with various ensembles including the wind ensemble, concert band, jazz band, jazz combo, and marching band. He also played in the pit orchestra for musicals such as Titanic and Beauty and the Beast. Matt has been Director of Bands for Lanier County Middle and High School for the past seven years. There he teaches beginning band, middle school band, high school marching band, concert band, and jazz ensemble. Matt has been active in the Scouts since the early eighties. He achieved the rank of Star Scout and has held various Scouting positions including Cubmaster, Assistant Scoutmaster, and Troop Committee Member for Troop 454 in Valdosta, Georgia. Jeff Kitzman is currently Director of Bands at Cudahy Middle School in Cudahy, WI. Prior positions included: Director of Bands – Cudahy High School and Associate Director of Bands – Fort Atkinson High School (Fort Atkinson, WI). He also served as a Field Assistant for the Warhawk Marching Band at the University of Wisconsin-Whitewater. He is a Graduate of Whitewater High School and holds a Bachelor’s Degree in Music Education from the University of Wisconsin-Whitewater. He earned a Master’s Degree in Trumpet Performance at the University of Akron (Akron, OH) where he served as a Teaching Assistant and performed with the Summit Chamber Brass. Other positions include Brass Caption Head and arranger for the La Crosse Blue Stars of La Crosse, WI, and Trumpet Coach and Coordinator for the Wisconsin Honors Jazz Ensemble. Mr. Kitzman has performed with the Akron and Canton Symphony Orchestras as well as the Wisconsin Chamber Orchestra. For the past 22 years he has performed with and led his own group, A Wall of Sound. As a Scout and Scouter, Mr. Kitzman has been involved with Scouting for nearly 30 years. He attained the rank of Eagle Scout and attended the National Jamboree in 1981. He is a proud Buffalo of C-21-06 and served on Wood Badge Staff for three courses. He has also served as Course Director for National Youth Leadership Training in 2011 and 2012. He is Vigil Member in the Order of The Arrow. On the District Level Mr. Kitzman serves as Boy Scout Training Chair for the Southshore District of Three Harbors Council, Milwaukee, WI. Jeff served the Jamboree Band Staff at Fort A.P. Hill in 2010. He is excited to get together with the Jambo Band again at the Summit in 2013! Bill Klope is a urologist in private practice in Ventura, California. He has been Board certified for the past 22 years and has strived to keep up with all the changes in medicine. Lately he has become a Da Vinci trained surgeon using the latest minimally invasive techniques. He began his training at Pepperdine University earning a B.S. degree in Biology while on a music scholarship. He received his M.D. degree at Vanderbilt University. His residency was completed at the Charity Hospital of L.S.U. in New Orleans, Louisiana. He then served in the U.S. Navy as a urologist and environmental medicine specialist at the Camp Pendleton Naval Hospital. After the Gulf War he returned home to Ventura to practice. He began playing low brass in high school and settled on trombone. This continued on in college where he added bass trombone and tuba. While in Nashville for medical school Bill played with the Blair Conservatory of Music as time permitted. While in the Navy he was invited to fill in for players in the First Marine Division Band. Since returning to Ventura, Bill has played trombone regularly for the Ventura County Band, as well as doing regular and special gigs playing bass trombone for the Swing Shift, a local Big Band. Bill's experience with Scouting runs deep as well. He earned his Eagle rank in 1970, and the Hornaday Award in 1972. He attended the 13th World Jamboree in 1971 in Japan and the 8th National Jamboree in 1973 at Moraine State Park in Pennsylvania. Bill rejoined Scouting in 1999 with his son Billy, now also an Eagle. He led the Troop for three years as Scoutmaster and helped charter a new Troop and a Venture Crew of which he is the Advisor. Bill completed Wood Badge in 2003. He was awarded the Silver Beaver in 2007. Topa Topa Lodge elevated him to Vigil Honor in 2008. Bill's Jamboree experience as an adult leader includes service as Scoutmaster for Jamboree Troop 944 at the 2005 National Jamboree and as an Assistant Scoutmaster at the 2010 National Jamboree. Bill looks forward to the first Jamboree at the Summit especially since he will be part of the Band Staff, something a bit different, something that promises to be a whole lot of fun. Dr. David Mruzek is Associate Professor of Music and Director of Instrumental Music Activities at Hanover College in southern Indiana, a position he has held for six years. The ensembles under his direction include the Concert Band, the HCMAO (Hanover College Madison Area Orchestra), and Jazz Band. He also teaches music literature, wind band history, and lessons. He holds a Bachelor of Education (Music) degree from the University of Toledo, where his primary teachers were Richard Webster (clarinet) and Jamie Hafner (band). Both of his advanced degrees are from Ohio State University, where he served as a teaching assistant in the Music History Department. For his doctoral dissertation on The Warriors of Percy Grainger, Dr. Mruzek was awarded the Grainger Medallion from the International Percy Grainger Society. Prior to Hanover College, Dr. Mruzek taught at Dodge City Community College (KS), Colby Community College (KS), and Columbus State Community College (OH). He is credited with having founded the CSCC Concert Band. In the fall of 2004, Dr. Mruzek was selected as the Outstanding College Music Educator for the Northwest District of the Kansas Music Educators Association. For eleven years, Dr. Mruzek was a member of the 122nd Army Band of the Ohio Army National Guard, advancing to the rank of sergeant. He served as principal clarinetist and librarian for this ensemble. In 1994, he was awarded the Army Commendation Medal for distinguished service. Dr. Mruzek is also a composer of original works for concert band, with over twenty works to his credit. His compositions have been performed by numerous ensembles, including the United States Military Academy Band, the Indiana Wind Symphony, the Angelo State University Symphonic Band, and the Ohio State University Concert Band. Three of his works are published, Early One Morning March, Boy Scout Centennial, and Apollo Anniversary. Dr. Mruzek is actively involved in the Boy Scouts of America. In the summers of 2005 and 2010, he served as the Assistant Band Director for the National Boy Scout Jamboree held at Fort A.P. Hill in Virginia. He looks forward to returning to this position for the 2013 National Jamboree. Two of his band compositions were written to honor the Boys Scouts: Boy Scout Centennial and Order of the Arrow. Scott Teater hails from West Burlington, Iowa. He is a recent college graduate from Iowa Wesleyan College in Mt. Pleasant, Iowa. He graduated with a Bachelor of Music Education with K-12 certifications in instrumental and choral music. He is a percussionist and baritone vocalist all the way! He is employed as a first-year teacher in the Holy Trinity Catholic Schools in Fort Madison, Iowa, where his job duties entail teaching 5th grade through 12th grade choral music. He is also employed by Bethany Lutheran Church in Burlington, Iowa where he serves as the Music Minister. Scott has been in the BSA organization since he was a Tiger Cub. He is a Scout leader in the Mississippi Valley Council, encompassing Southeast Iowa, Western Illinois, and Northeast Missouri. He has taken the National Wood Badge leadership training. He earned the rank of Eagle Scout in October of 2005, and his religious award in 2005. 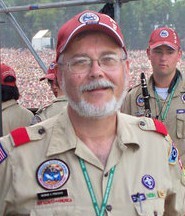 Scott attended the 2001 National Scout Jamboree as a member of a Troop, and was a flutist in the 2005 National Jamboree Band. He is a Brotherhood member in the Order of the Arrow and attended the 2002 NOAC. He attended the World Scout Jamboree in 2003 in Thailand. Other Scouting positions Scott Teater has held include: Troop Committee member, Webelos Den leader, and District Committee Member-At-Large, District Family Friends of Scouting Chairman, and District Popcorn Kernel. He has served on his Council's camping committee, District dinner committee (still serves on this), has co-chaired two Council annual dinners/meetings, and served as the Council's 2011 guest speaker at their University of Scouting. He currently holds the positions of Unit Commissioner, Assistant District Commissioner, and Assistant Council Commissioner, and serves on the Council's National Youth Leadership Training staff in his Council. He was awarded the prestigious District Award of Merit in January of 2012. Jerry Yochelson's Scouting experience began in 1952, when he became a Wolf in Cub Scout Pack 81 in Washington, DC. His musical experience began the same year, when his grandfather presented him with a half-size violin. Violin lessons followed and he joined the school orchestra. A few years later amateur radio beckoned as an interesting and challenging hobby, and in 1958 radio station K3OIK went on the air. His band experience began in 1961 when he found that the Anacostia High School Cadet Band had no use for a fiddler but badly needed a flutist. At that point John Philip Sousa joined Mozart and Irving Berlin as favorite composers. Jerry served as Captain of the A. H. S. Cadet Band in 1963. Jerry returned to Scouting in 1990 when his son Isaac became a Wolf in Cub Scout Pack 52 in Cranbury, NJ. He has yet to move on, having served as Cubmaster of Pack 52 for twenty years now. He is also a member of the Troop Committee of Troop 52. Jerry is a counselor for a number of merit badges including Music and Bugling, and finds badges such as Aviation, Railroading, and Computers are great to do with the Scouts, having lived through much of the history. It was fascinating to be a counselor for the historic Signaling merit badge in 2010. Jerry has also helped to organze Cubaramas and Camporees for the Mercer Area District, Central New Jersey Council. Amateur radio had more influence than music on early career directions. In 1967 Jerry earned a bachelor's degree in electrical engineering from M.I.T., having also taken all two of the music courses then offered there. A 45-year career in electrical engineering and computer programming (and raising six children) briefly curtailed his musical activities. He has been an amateur radio operator for more than half a century, operating today as AA2ZY, and in a way ham radio led back to music. 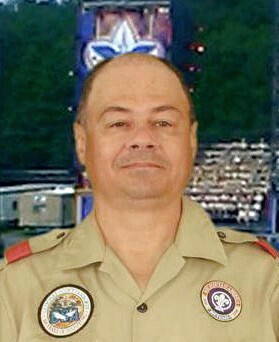 He attended the 1997 National Jamboree as a radio operator on the staff of K2BSA, and was very impressed by the 1997 National Jamboree Band. Returning home, he organized the Cranbury Scout Band, which is still going strong. In 1998 Jerry, along with many of the members of the Cranbury Scout Band, joined the Jersey Jamboree Band. The Scout Band was soon playing his Cranbury Scouts March. For several special events with American Revolution themes, he has formed a Fife & Drum Corps including members of the Cranbury Scout Band. He composed the Cranbury Grand Memorial March for the Fifes & Drums in 2003 and The Mystery March as the theme song for MAD's Double Eagle Mystery Camporee in 2006. In 2010 Jerry served on the Senior Staff of the National Jamboree Band and really enjoyed working with and playing in the Band, as well as getting to know Director Bill Nelson, the other members of the Staff, and the members of the Band. It was a real high point to hear the Jamboree Band play The Big Brass March which he had composed, as well as the Boy Scout Centennial March which Dave Mruzek composed. He sure is looking forward to working with and playing in the 2013 Jamboree Band at the Summit. Jerry serves as webmaster for this 2013 National Jamboree Band website. He also has put together a web site with an overview of the history of Scout Bands at Jamborees.